Materials for 10.02.2019 » Developer Team :: Best choice for developers! Your All-Powerful Android Manager. From data management to cross-device transfer, take complete control of your Android mobile content from one convenient place and in every way you'll enjoy. As you debug, Entrian Inline Watch displays the values of variables inline in your source code, updated live as you step through your code. You can see the live values right there in the source, rather than having to hover over them with the mouse, or find them in the Watch windows. AspUpload® is a server component that allows your web application to capture files uploaded with a browser in as little as 2 lines of ASP script. With AspUpload, files up to 4 GB can be uploaded while only consuming a tiny amount of RAM on the server. The files can be uploaded to disk, memory or the database of your choice. The user can monitor upload progress and time-remaining information via a built-in HTML-based progress bar. AspUpload's remarkable robustness and extensive feature set has made it the upload solution of choice for tens of thousands of web sites around the world. AspJpeg is a server component that will help your ASP or ASP.NET applications with all their image-management needs. 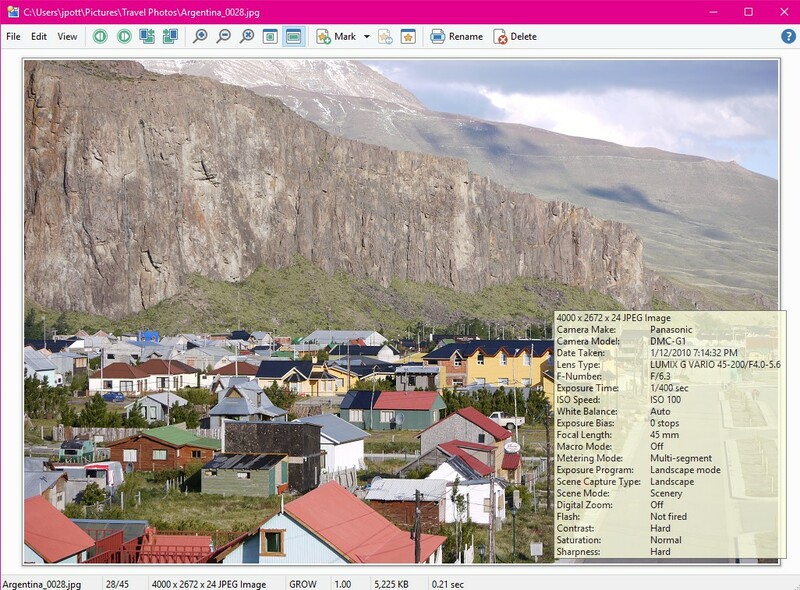 With AspJpeg, you can create high-quality thumbnails, logo-stamp photographs, extract metadata information from images, crop, enhance, rotate, convert, and much more. For the complete list of features, see Chapter 1 of the User Manual. 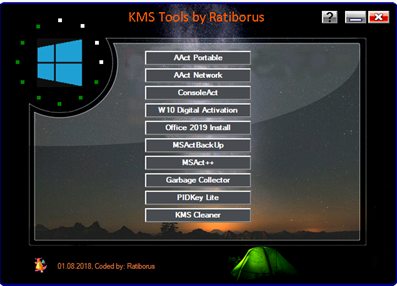 All-in-one collection of activators from Ratiborus for Windows XP, Vista, 7, 8, 8.1, 10, Server 2008, 2008 R2, 2012, 2012 R2, Office 2010/2013/2016/2019. ZipForge is a fast and powerful VCL Zip component, written in Delphi. It lets you easily create ZIP archives, extract files from zip files to hard drive or memory, add files to a zip archive from disk or memory, replace, move and delete files in zip archives. Also it creates and reads self-extracting (SFX) zip archives, AES encrypted and multi-volume zip files. Are you frustrated by the limitations of Windows Explorer? Directory Opus provides a complete Explorer Replacement with far more power and functionality than any other file manager available today. EmEditor Professional - professional version of the powerful text editor for programmers, Web developers and ordinary users with the illumination of syntax and Unicode support. 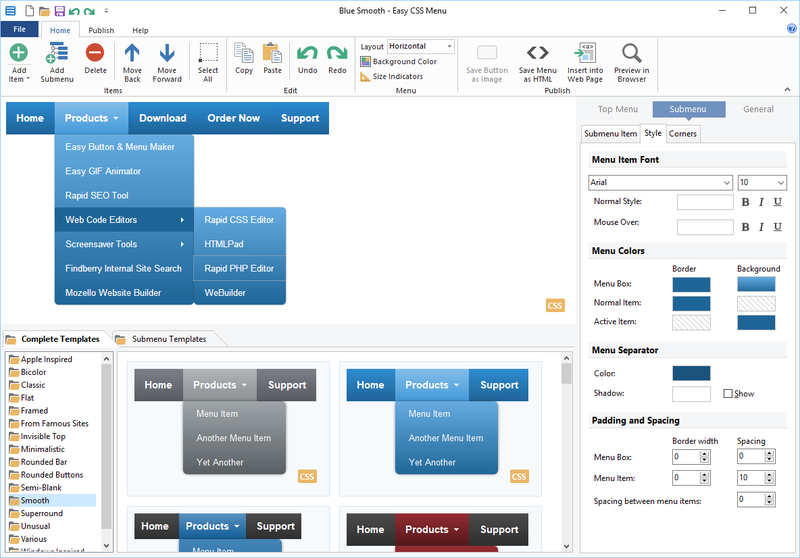 Editor features such as search and replace in files using regular expressions, auto-detection coding, highlighting the links and email addresses, block selection mode, configure the button bar, menu, font and color elements. For each language, you can create a separate configuration. The program also has the support of powerful macros written in jР°vascript or VBScript, allowing you to capture virtually any action, used often or occasionally. Easily create fantastic CSS drop down menus for your website without writing a single line of code. 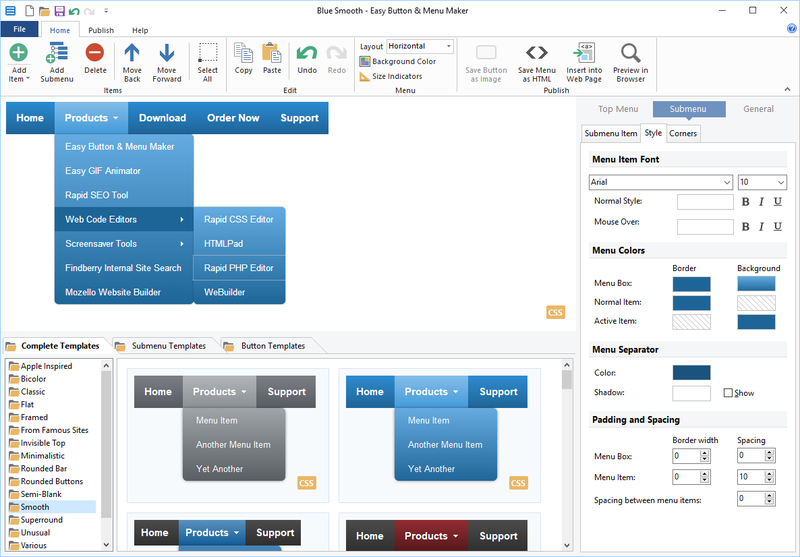 Easy CSS Menu generates pure CSS drop down menu code that works in all web browsers and does not require jаvascript.